Votsalakia. 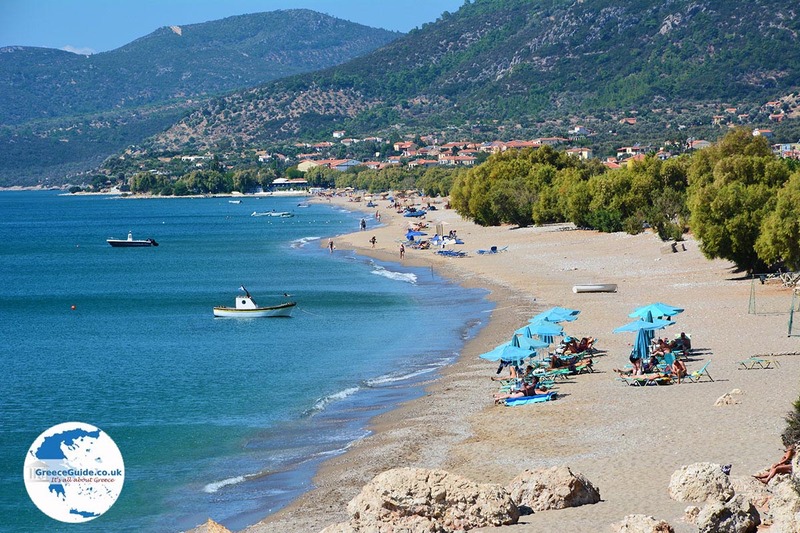 On the bay of Marathokampos on the island of Samos are several beach resorts, the best known is Votsalakia (meaning literally pebbles). 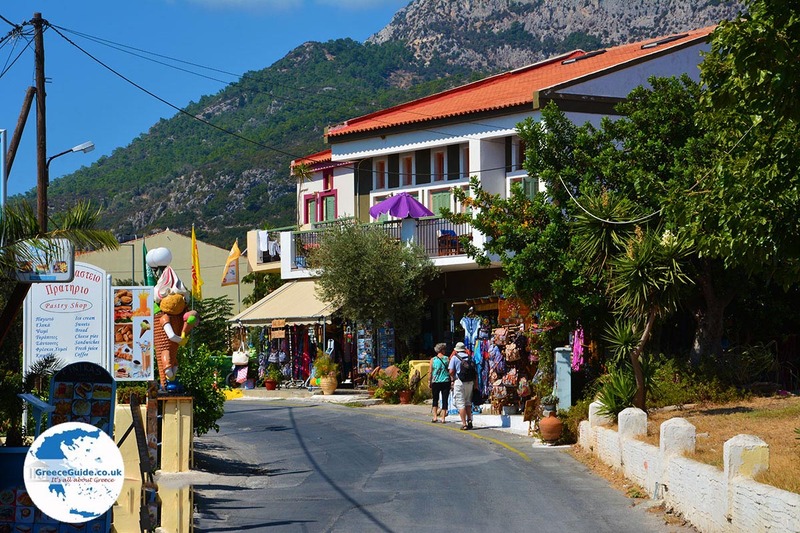 In Votsalakia there are many good tavernas, restaurants, souvenir shops, supermarkets, car rentals etc. There are many large and small hotels and apartments. 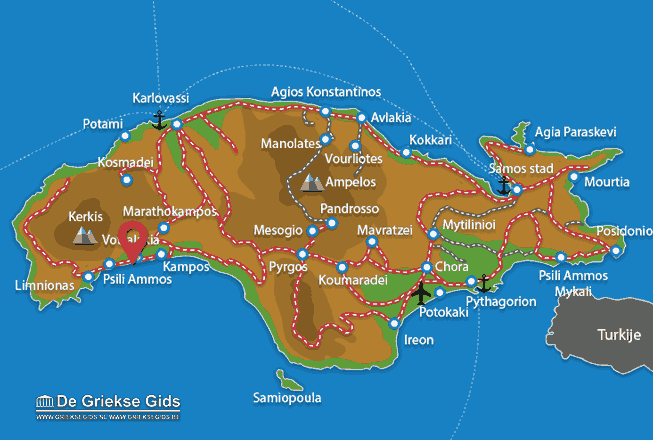 Actually, the whole coastal area is called Kampos. 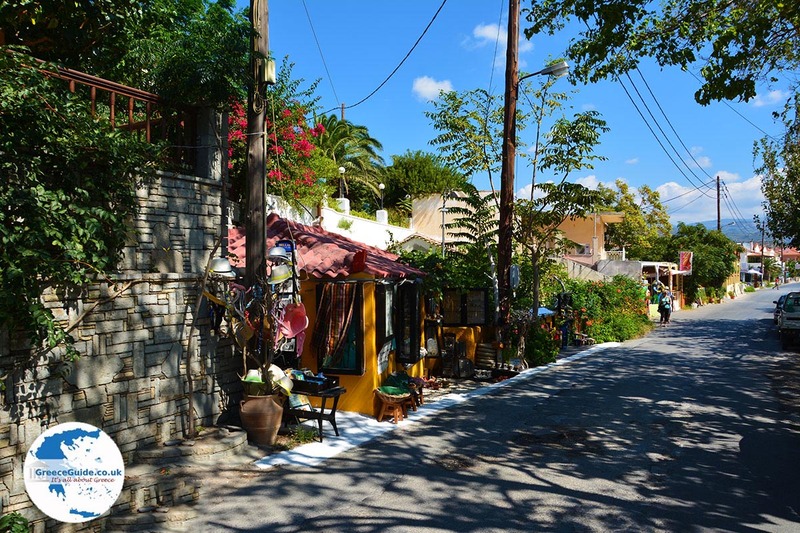 That area is nowadays known as Votsalakia, this is because of the eponymous taverna 'Votsalakia' which is located here. 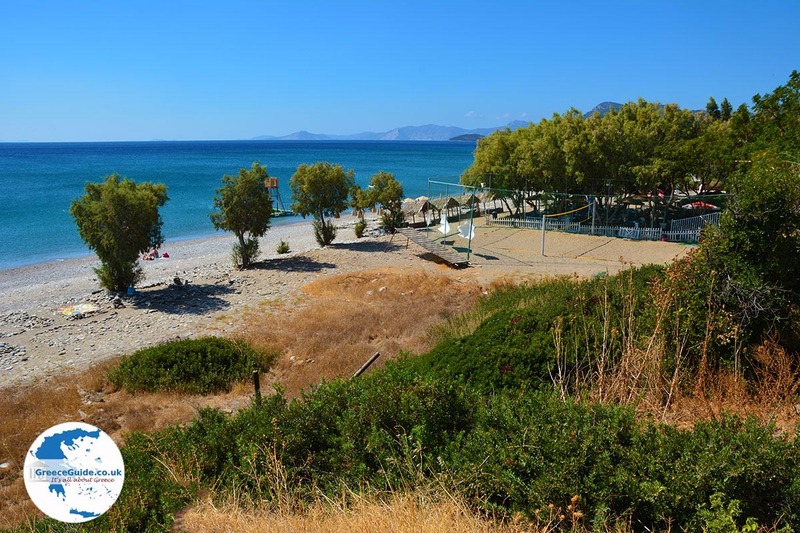 It is said that a few decades ago, "Taverna Ta Votsalakia", was the only taverna here on the beach. 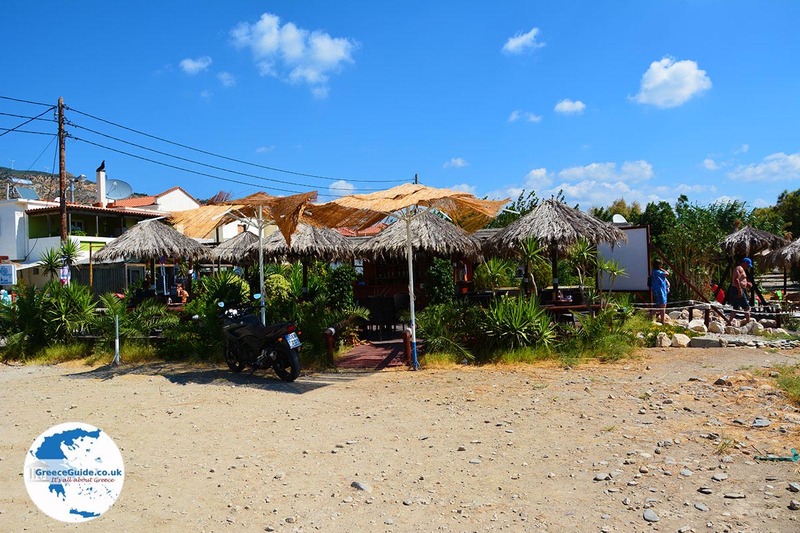 People from the surrounding villages came here in the summer to spend their time, eating, swimming and having fun. 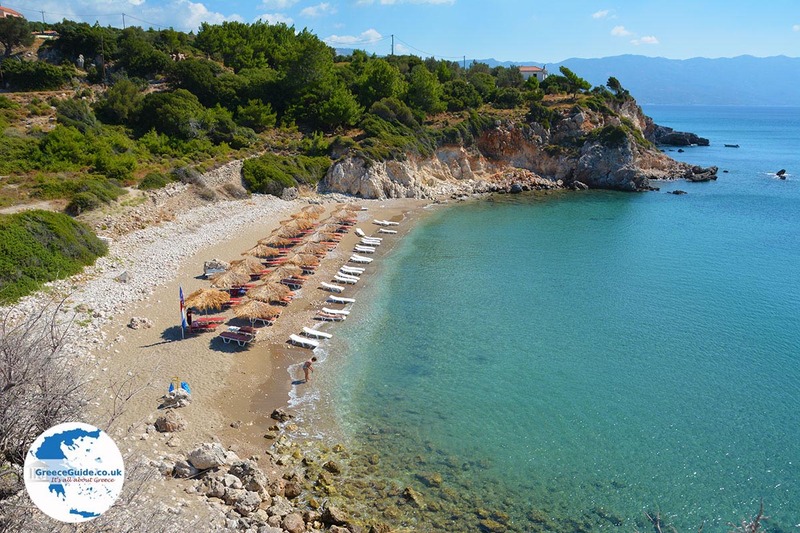 Because in fact the beach had no real name, they began to call it "Ta Votsalakia", since then, the name actually remained and that’s how it is named even by international tour operators today! 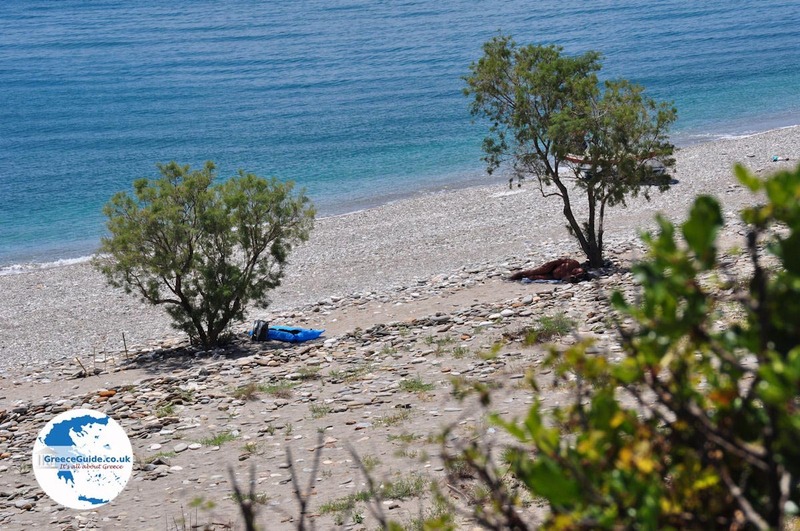 The beach of Votsalakia is a nice, long beach which consists of pebbles and sand, pine trees are even close to the beach. 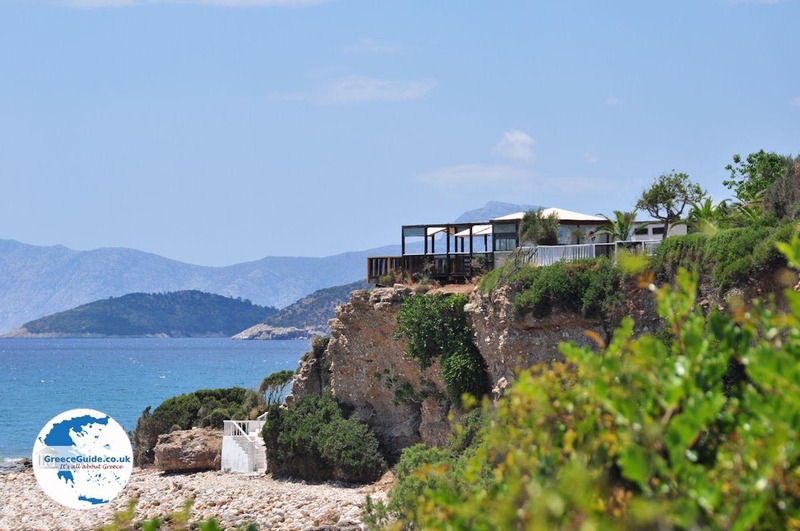 There are umbrellas and sunbeds for hire and a variety of water sports are possible. The nightlife is pretty good, as there are several lively bars. 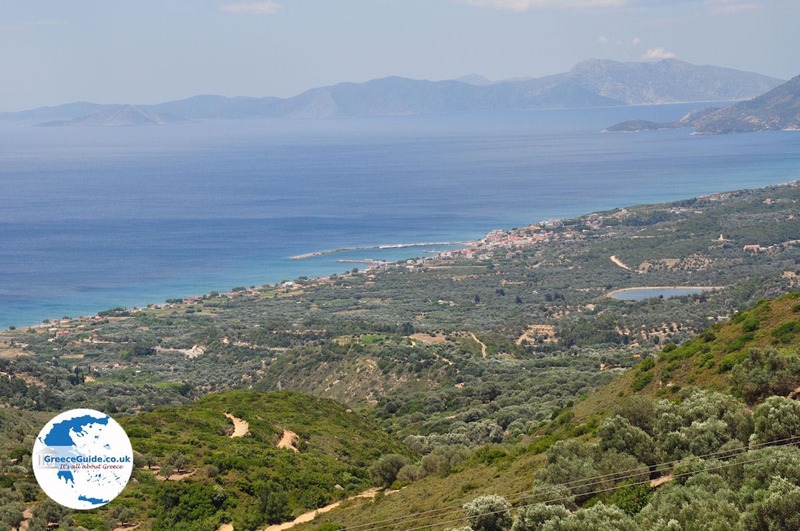 The region of Marathokampos lies in the southwest of Samos on the bay and includes the slightly higher villages Marathokampos, Agia Kiriaki, Koumeika, Neochori and Skoureika and coastal towns Votsalakia (also so called Kampos), Pefkos, Limnionas, Psili Ammos Balos, Valsamo and Makria Pounta. 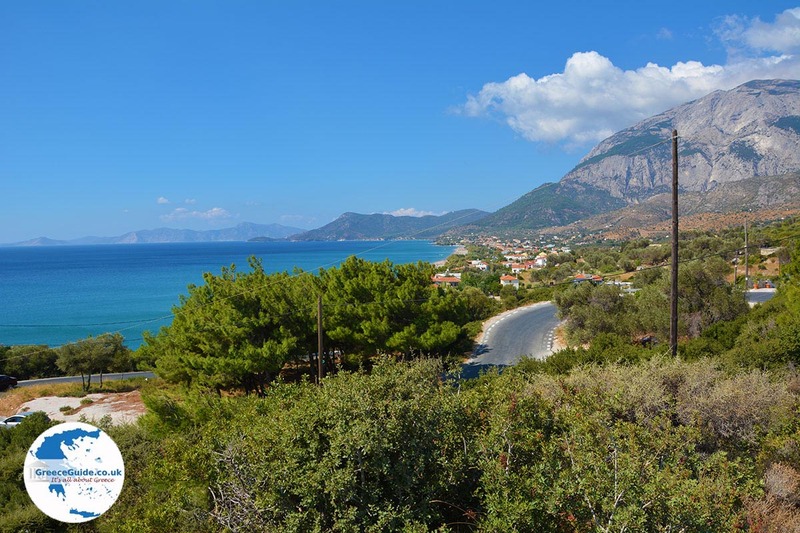 Samos: Where on the map is Votsalakia located?